One complete, the original damaged C/L version. Rebuilt C/L clone still needs machine guns and minor details. Those Look GREAT ! Man you do good a good job on restoring these old plastic models . Nice showpieces !! Another fine job done, and planes rescued! They look great. Bob, You are amazing! I’m in awe of your accomplishments. i sit here and read and look at your pictures, while you’re really making things happen. I salute you. 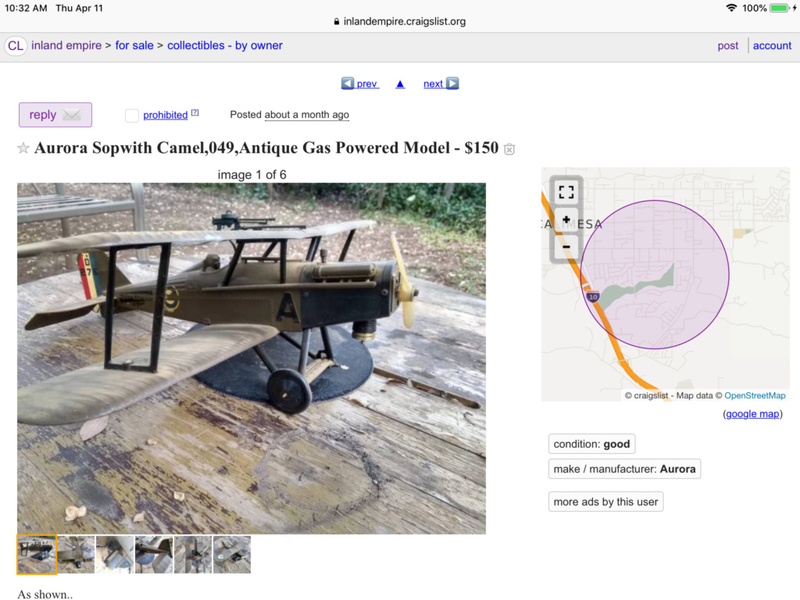 A bit pricy, and the guy says he’s firm on the $$....it’s got guns!! 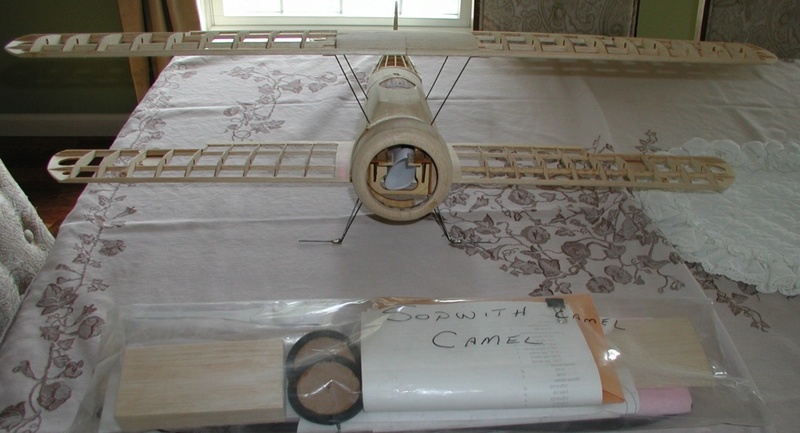 Fair price, but it's not a Sopwith Camel. My half built model. 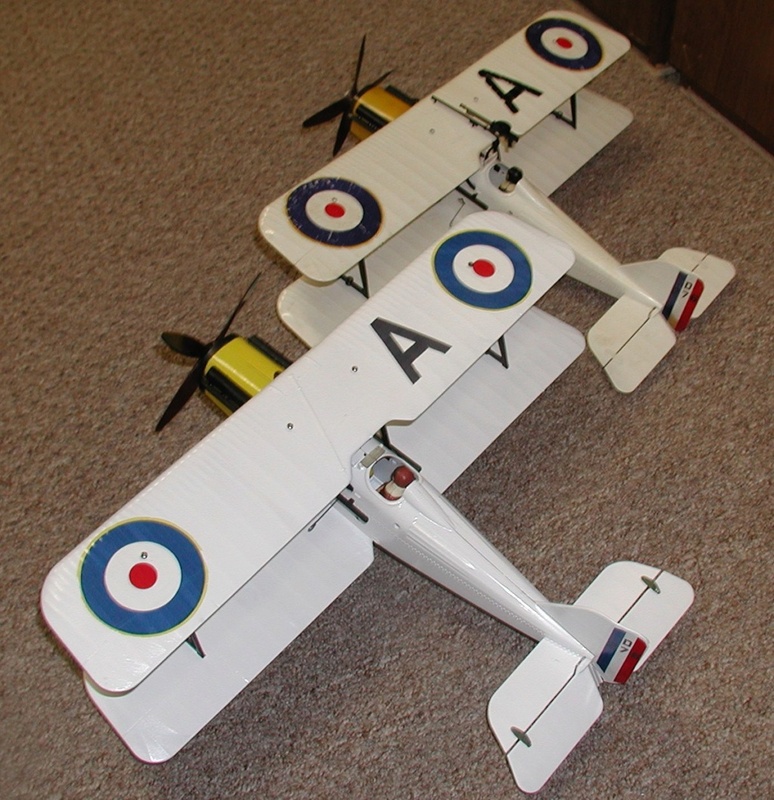 It's another SE5, but I would like to own it if he would ship. Can you PM me a usable link?